Clear Creek History Park | What's Happening in Golden? This is the final weekend to see The 39 Steps and Little Red Riding Hood at Miners Alley Playhouse! The Golden Police Department is participating in the National Prescription Drug Take-Back tomorrow from 10AM-2PM. This is a great chance to get potentially dangerous drugs out of the house. The service is free and anonymous, no questions asked. Bring your unneeded prescriptions to the Police Department at 911 10th St. (map). Don’t forget your SECOND LAST CHANCE to visit the Golden Mill! A few Golden kids have asked the Mill to host a donations drive for Foothills Animal Shelter, so they will be open from 10AM-2PM. The Golden Mill still has a variety of wet and dry dog food and cat food, treats, poultry supplies, supplements, horse tack/supplements/blankets, tank heaters, bird feeders, gloves, remaining animal feed, stock tanks and large animal feeders, and all racking/display grids/shelving/tables (note: all sales are final). Stock up on your own pet needs and buy a few extras to donate to Foothills Animal Shelter. The Golden Mill is located at 1012 Ford Street (map). The CSM Geology Museum is having a Book and Garage Sale this weekend, Saturday 12-4 and Sunday 9-4PM. Visit the museum (1310 Maple St.) for great deals on rocks and minerals, books, maps, journals, fossils, etc. For more information call 303-273-3815. The Golden History Roundtable will take place at the Golden Library (1019 10th St. – map) from noon to 1:30. Last month Barb Warden told us about Golden in the 19th Century, and this month she’s covering Golden in the 20th and 21st Centuries. Come hear about a time when we had a narrow gauge railroad, incline railways up both Castle Rock and Lookout Mountain, and two commuter rail lines running from downtown Golden to downtown Denver. Learn about the fabled swimming pool under the dance floor at the Buffalo Rose. Hear how Golden weathered Prohibition, two World Wars, the Great Depression, and the Baby Boom. Questions? Contact the facilitator, Barb Warden, at 303-278-2701 or barb@goldentoday.com. The Golden Chamber’s Candlelight Walk is my favorite Golden event of the year, and tonight will be a beautiful night for it–unseasonably warm, with an almost-full moon. Meet at 6PM at Foothills Art Center (15th and Washington) for the walk. Bring a candle or glow stick, or buy one there. The crowd will be led by Santa Claus and will start down the hill at 6:30. When they get to the Visitors Center, the Mayor and a local girl will flip a switch and light the lights along the creek. It’s an “ooh” and “ah” moment! Afterwards, we’ll have a brief fireworks display, courtesy of the City. Then you can walk around and enjoy a number of fun things. There will be a Christmas carol sing-along in Parfet Park, by the dragon statue; dancers performing in the Rotary Amphitheater along the creek; music and free admission at the Golden History Museum; more music and cookies at the Golden Library. The Golden Kiwanis Club will be serving roasted chestnuts at the Clear Creek History Park. The artist who designed this year’s Leadership Golden ornament (Julie Leidel) will be signing ornaments at the Visitors Center. Don’t forget to visit the downtown stores, because many of them are planning live music and free treats this evening. The Candlelight Walk is an enchanting event–Golden at its best. For the complete run-down on the Candlelight Walk, tomorrow’s parade and other downtown events, and everything Christmas in Golden, check the calendar at goldentoday.com/christmas. Close the Rose from 3PM till closing. Stop by for one last drink (for the next year) at the Buffalo Rose. FYI, The Corner Saloon (at the corner of the Buffalo Rose building) will be open for 2 more weeks, til Saturday December 2nd. International Day from 4:30-9PM in the Green Center on the School of Mines campus. International Day is an annual “world bazaar” with exotic sights, melodious sounds and heavenly tastes of faraway countries. The exhibits at I-Day include samplings of food, dancing, singing performances and more on students’ native countries and cultures. This event is open to all of Mines and Golden. Food sampling tickets are $1 each at the door, allowing visitors to sample cuisine from many different participating countries. Most samples range from 1-4 tickets. Hosted by the International Student Council. Learn more…. The Colorado Mountain Club is having their Fall Gear Sale tonight from 6-8PM at the American Mountaineering Center. Come on over right after work and get the best deals! You will be sure to find some sweet deals on some gently used outdoor gear. Plus 15% – 20% of the purchase price goes back to the CMC and its great programs! Learn more…. The Golden History Museums will have Homesteaders’ Day tomorrow from 9AM-Noon at the Clear Creek History Park. Discover blacksmithing at the History Park with volunteer Stan on a crisp Saturday morning. And there’s more! Something tasty will be cooking on the woodstove, and a schoolmarm will be keeping students orderly in the one-room Guy Hill Schoolhouse! Bring your curiosity, questions, and a warm coat. This is a free, drop-in program held between 9 am and noon. Learn more…. The Clear Creek History Park will be hosting Homesteading Day today from 10-2. 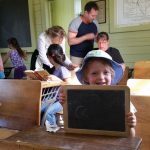 Explore the historic cabins, cook on a woodstove, learn why blacksmithing is an art, take a lesson at the schoolhouse, and play forgotten games. Sounds like fun! The History Park is right across the creek from the Farmers Market (open 8-1), so do both! Golden City Brewery is celebrating Summer Solstice with a fund-raiser today from 12-5. $10 gets you a logo pint glass and a pint of beer or soda. The entire ten bucks goes right to the Art Reaching Kids program. Pile High Burgers will be there, and Steve Selinksky will be performing. Earth Sweet Botanicals is offering a double class today–Light & Luscious Foods and Luscious Lips–from 2-4:30. Put out the heat of summer with these light and luscious foods with scrumptious flavors and fresh ingredients. Then learn how to have luscious lips during the hot months with these recipes for all-natural lip products. Think herb-infused lip balms, sweet essential oil sugar scrubs and natural tinted lip gloss with skin moisturizing ingredients! Call ahead to verify that they still have openings in the class: 303-278-1260. The morning tickets are all sold out for Thomas the Tank Engine at the Railroad Museum, but there are a few left for the afternoon. 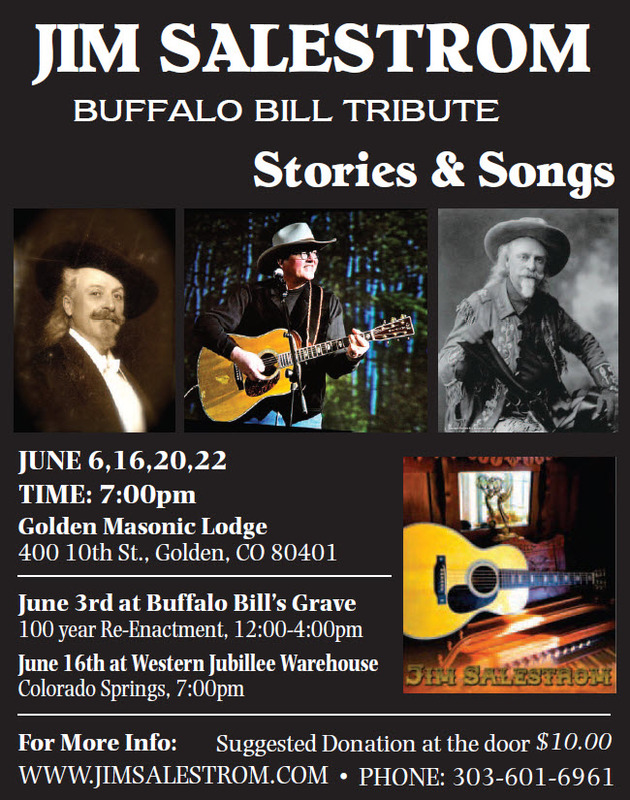 Here’s a brief preview of June events in Golden. To see the full list, check the Goldentoday.com Events Calendar. Theater: Cabaret will be performed at Miners Alley on select days through June 25th. * Check this page for all GOLDEN LIBRARY EVENTS. Did you know that the Golden Visitors Center distributes Golden Tickets? They’re good for discounts at lots of Golden businesses, and some of them are instant cash winners. Stop by the Visitors Center (10th & Washington) Monday through Saturday and ask the volunteer for a ticket. If you have a group coming to town and want 10 or more tickets, contact the Visit Golden team at visitgolden@cityofgolden.net, and they’ll make arrangements to get them to you. The Quilt Museum is having one of their Sundays at the Museum tomorrow from 2-4. This month’s program is a Wa Shonaji Trunk Show and Chorus Performance. “What’s that,” you’re wondering? The objective of the Guild is to embody a viable, professional organization; representing an interest in quilt making and other fiber arts primarily from an African-American perspective. Also tomorrow, the Clear Creek History Park will present The Black Homesteader Experience from 2-3:30. The Homestead Act of 1862, which granted 160 acres of free land for filing fees totaling just $18, enticed thousands of Americans and new immigrants to journey to western territories. Homesteaders traveled with hopes for a new life and opportunities not possible in the eastern states. Black American homesteaders, a significant proportion of whom were freed slaves, had a wide variety of experiences while staking their claims and trying to succeed in the harsh environment. Presented by historian Priscilla Marshall. Recommended for participants age 12 and up.